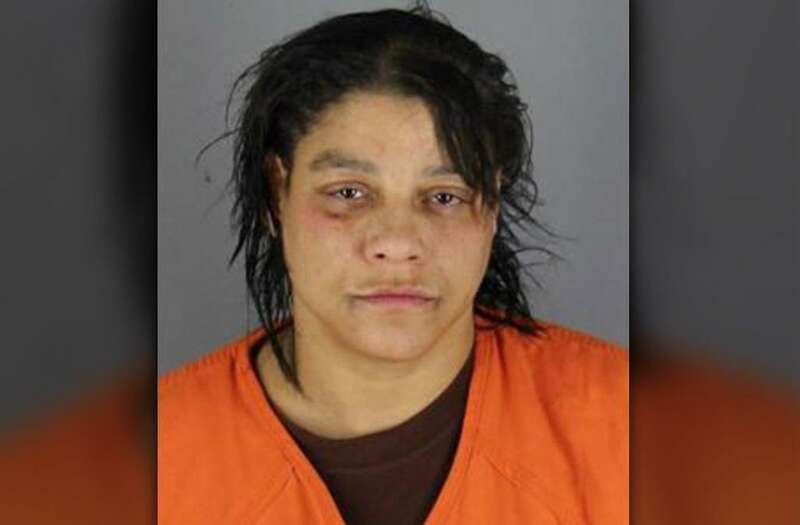 A Thanksgiving dinner ended in horror when a Minneapolis woman allegedly killed her dinner guest for doing drugs at the table — and not offering her any. Anenia Marie Hare, 47, told police that she invited 69-year-old Edward Caliph over to her apartment on Thursday to enjoy a Thanksgiving meal. Hare said before "they started to eat, she looked over and saw the victim lighting up a crack pipe," the Star Tribune reports. She allegedly told authorities she became angry because Caliph did not ask her permission to do drugs in her apartment and never asked her to participate. Hare said she grabbed an antenna and butcher knife, stood in front of the apartment door and told Caliph he wasn't allowed to leave. She told detectives she was only trying to appear intimidating. Caliph started yelling for a neighbor to call 911, and allegedly broke a window in the living room with a vacuum cleaner trying to escape. Hare allegedly grabbed her guest by the shoulders and fell on top of him as he fought to get the knife from her. "I just grabbed him by the front and he went down," she told police. "To me it just felt like I put him in a deeper hold or something." Hare said after the struggle, Caliph fell face down on the ground and "he started snoring." Hare claimed she called 911 four times about the incident. Police said the man was taken to the hospital, where he was pronounced dead. An autopsy showed he died of homicidal violence. Hare was charged with second-degree murder and is being held on $500,000 bail at the Hennepin County Jail.